The above info came from Joe M, and was edited by yours truly (contact me). The image came from ANIME Sector. Helena is one of the true vampires much like Alucard and Incognito. She appears to be a very young girl but in reality she's extremely old. She was turned vampire when she was very young. Helena lives on a rooftop apartment where she listens to classical music. 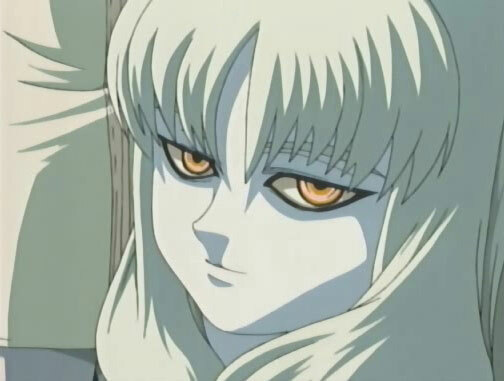 Seras looks up to Helena and Helena inspires Seras to realize that she is a vampire. She seems very caring, and very sad. For as long as she has been a vampire she has grown tired of not being able to die, and keeps to herself in her house.